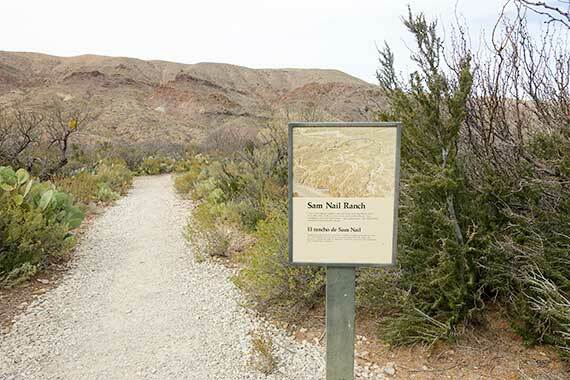 The Sam Nail Ranch Trail in Big Bend National Park is one of the easier trails in the entire park for visitors to hike. If you’re a history buff or a bird watcher, this is a good stop for you. Unfortunately, for the history buffs, the park doesn’t provide much information for you, so we’ve tried to fill in a little more of just who Sam Nail was at the end of this post. 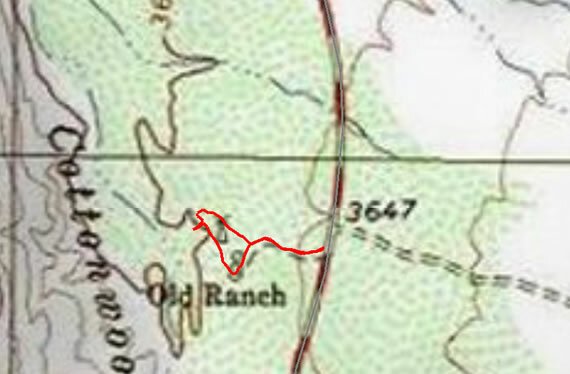 To get to the trailhead for Sam Nail Ranch Trail (29.279260, -103.368711), take a left out of Park Headquarters at Panther Junction and drive approximately 13 miles to take a left hand turn onto Ross Maxwell Scenic Drive toward Castolon. From there, you’ll need to drive 3,4 miles to a pull-off on your right. You should see a sign indicating that the pull-off is coming up before you get there. 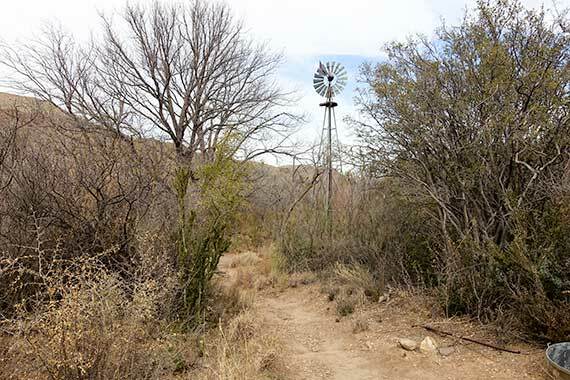 The trail begins in the middle of the pull-off on Ross Maxwell Scenic Drive and heads west toward Cottonwood Creek at the base of Burro Mesa. Even from the road you’ll see that the vegetation here is far more lush than most other areas of the park. From the trailhead, you’ll follow the well maintained trail to a point where it splits. This is where the loop begins, so either direction will lead you right back to this point. I took a left here and headed downhill. As you head downhill, you’ll see a small side trail head to your right. In this area, you’ll see an old adobe wall, the only part of the original ranch buildings the Park Service left standing. Further in you’ll find a working windmill with a park bench nearby. This is a great spot to sit and watch the birds near the water from the windmill. From here, be sure to double back to the main trail from the direction you came in. If you keep heading through, you may end up cutting a portion of the trail off. Once back to the main trail, you’ll continue on the loop to the right. A little further in, you’ll see another smaller trail heading off to the left. This trail heads down to Cottonwood Creek through a dense grove. Once you get back onto the main trail from here, you’ll start heading back uphill on the loop where you’ll be able to overlook most of the area. From here, you’ll head back toward your vehicle, taking a left at the point you passed earlier where the trail split. 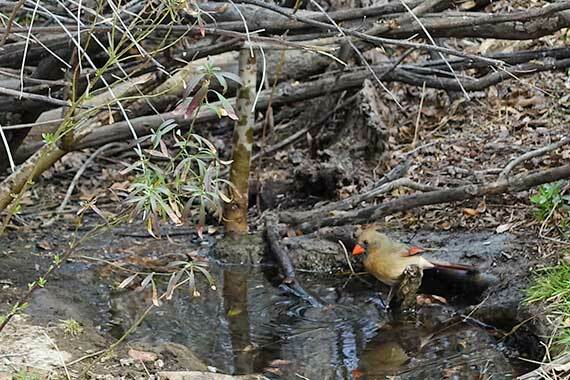 This trail is really more of a short walk than a hike, but it’s a nice place to stop and watch the desert birds and stretch you legs. In 1908, the Nail family moved to the Big Bend Area from Central and North Texas, and first settled at Government Springs (near Grapevine Hills Road). 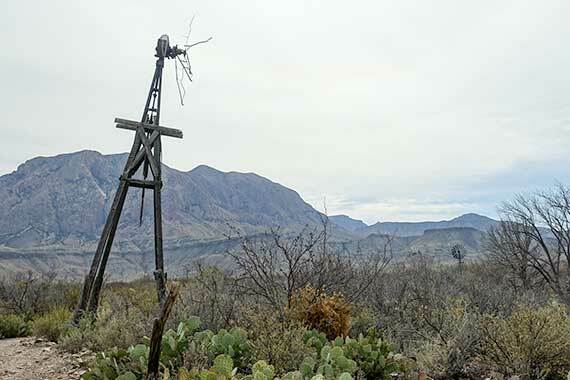 Shortly thereafter, Sam and his older brother Jim moved to Dugout Wells and then again, in 1909, they moved to the Pine Canyon Area (originally called Nail Canyon), which sits on the Southeast side of the Chisos Mountains. World War I was a booming time for ranching, so in 1918 the brothers, flush with capital, finally settled in what is now known as the Sam Nail Ranch, where they built an adobe house, dug a well, and planted fruit trees and a garden. In 1918 Sam married Nena Burnham, whose family lived out by Government Springs, and just a few years later in 1921, they had a daughter they named Julia. 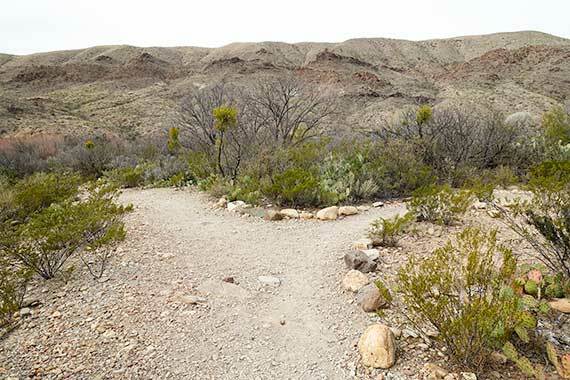 Due to the remote nature of their ranch (at this point in time Ross Maxwell Scenic Drive didn’t exist) Julia was at times home-schooled, as the nearest school was miles away across the rugged Big Bend Country. She also had a little brother who died at the age of nine, a sad reminder of the tough life in the area. The Nail ranch raised cattle, sheep, and goats, with the Hereford breed of cattle being preferred for their hardiness and ability to better endure the harsh desert. See Sam Nail’s cattle brand to the right. In addition to their livestock Sam was fond of his horses, which he would rent out to the government workers, and others, who began coming into the area when the state began acquiring property around 1933. 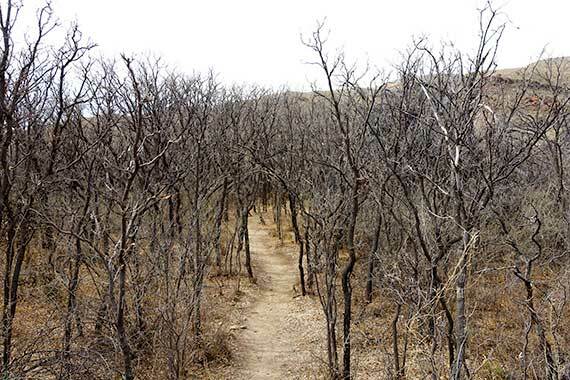 At about this time, Sam Nail was part of a meeting with government officials to discuss the potential of a park in the Chisos Mountains. Although there were mixed feelings about selling, the Great Depression and a terrible drought drove many ranchers and settlers to make the decision to sell and leave the area, including Sam and his family. Big Bend National Park opened to the public in 1944. 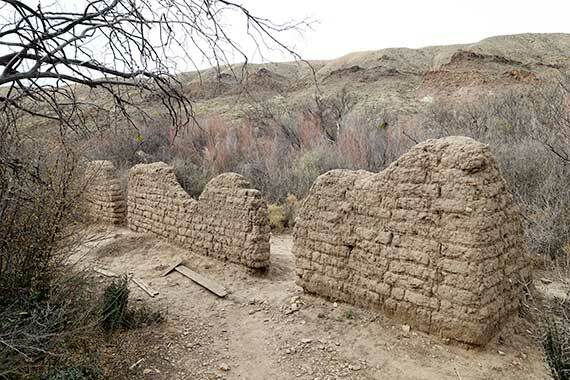 When the park was first established, the focus was on a natural landscape and Sam’s adobe home, except for the single wall you see standing today, was torn down. Very few locations, like Homer Wilson’s Blue Creek Ranch site just down the road, were preserved or left standing. For more detail about the area (and also a source of some the information found in this post), you can read an Interview of Julia Nail Moss, Sam’s daughter, by The Institute of Oral History, University of Texas at El Paso here: http://digitalcommons.utep.edu/interviews/864/. For even more information and some great photos of the family and their ranch (and other ranches in the region), you can also pick up a copy of Big Bend National Park and Vicinity (Images of America) from Amazon. Thank you so much for this interesting information about the Sam nail Ranch. We have been there on several occasions and wondered about it. A great article!